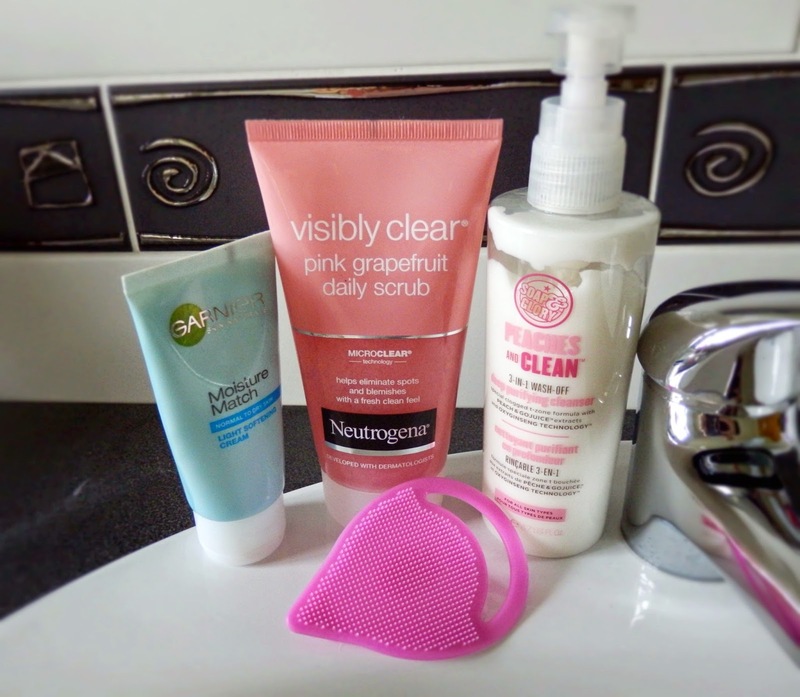 Today I thought I'd talk about how I keep my skin in check, as the weather gets colder sometimes your skin can freak out a bit so it's important to look after it and remember, moisturiser is essential! The products above are what I use every day to keep my skin clear and bright. I have sensitive skin so everything mentioned here is gentle and won't cause irritation. I like to try different face scrubs from time to time but whenever my skin acts up, I always go back to this to clear it up. This scrub has tiny little beads in it, almost like sand and it's perfect for getting rid of dry skin and blocked pores. Also because this is a daily scrub, using it every day won't leave your skin agitated and sensitive like some other scrubs can. I use this in the morning every second day. I used to use baby wipes to take my makeup off, I know, horrendous! Now I use a cleanser and at the moment have been loving this one by Soap & Glory. I use this morning and night every day and I absolutely love the way it smells. With this I rub a few pumps all over my face with that odd looking pink object (all will be explained soon) and let my make up melt off before rinsing my face with warm water. It leaves my skin soft and clean and I love it! As I said above, moisturising is so important! When I was younger I used to have very oily skin and would skip moisturising as I thought it would help but in reality it did just the opposite! I've been using this moisturiser ever since it came out and I haven't found anything that comes close to it yet! It's hydrating but doesn't leave my skin greasy and it doesn't irritate my skin which is a problem I've had with even the softest of moisturisers before. As well as taking care of your skin from the outside, it's also very important to take care of it from the inside! I started to make a conscious effort to drink more water during the summer and the difference it made to my skin was incredible. I drink at least 2 litres a day and once you get into the habit, you actually start to like it! Now, onto the odd looking pink object! I picked this up in Penneys recently for just €1! I'd seen things like this before, Soap & Glory have a brush very similar so I was intrigued to see what it did and if it worked. I use this to massage my cleanser into my skin and after a few days of using this I was amazed at how clear and soft my skin was. 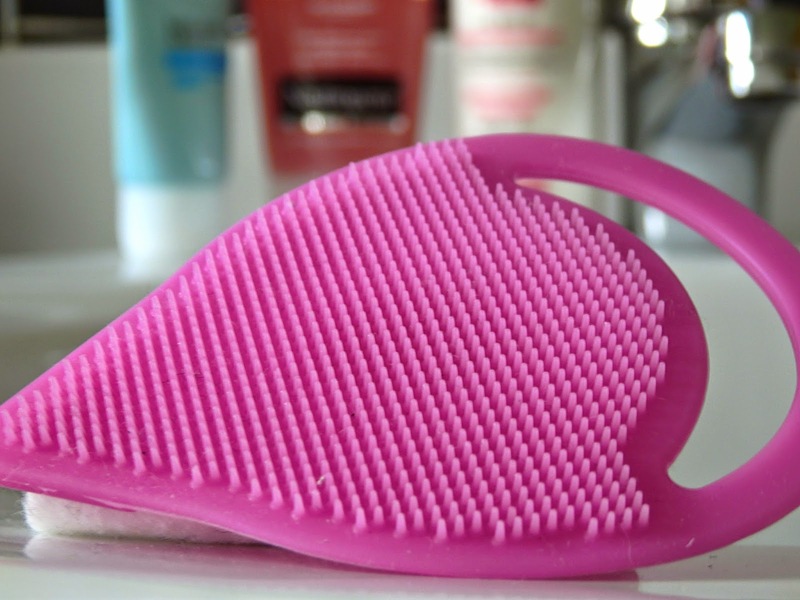 I'd definitely recommend getting your hands on some sort of facial exfoliating brush! What are your skincare saviours? Let me know in the comments. Thanks for reading!